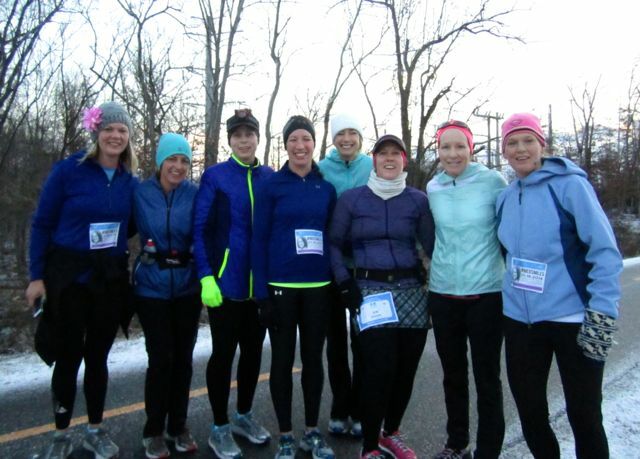 On a cold January morning in 2014 while out on a Saturday morning group run with the Cruisers, we saw our fellow Cruiser friend Amanda running with a group of ladies we didn’t know. We stopped to say hi, and I teased her about two-timing the Cruisers. 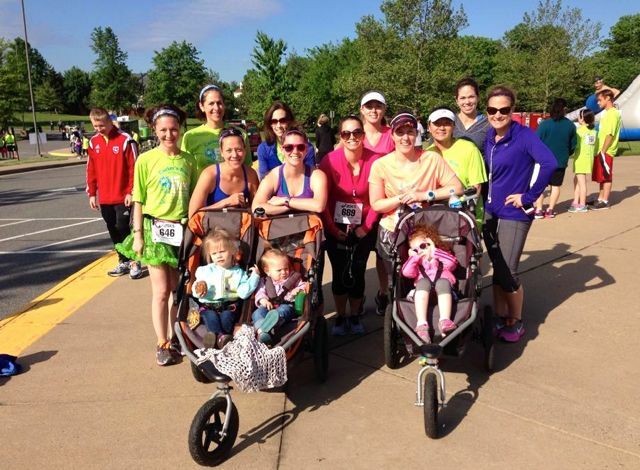 Later that day, she asked me if I wanted to be added to her new group – Moms RUN This Town (MRTT). 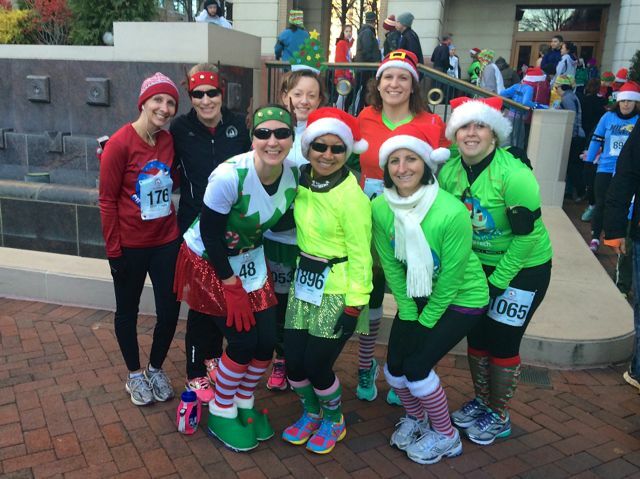 Following my rule that one can never have too many running friends, I said, “Sure!” A week later I joined our local MRTT chapter for my first official run with them. I scheduled the timing of our Cruisers’ run so I could run for an hour with the MRTT ladies, and then swing back by the parking lot to meet the Cruisers. Yes, I was already juggling running friends! 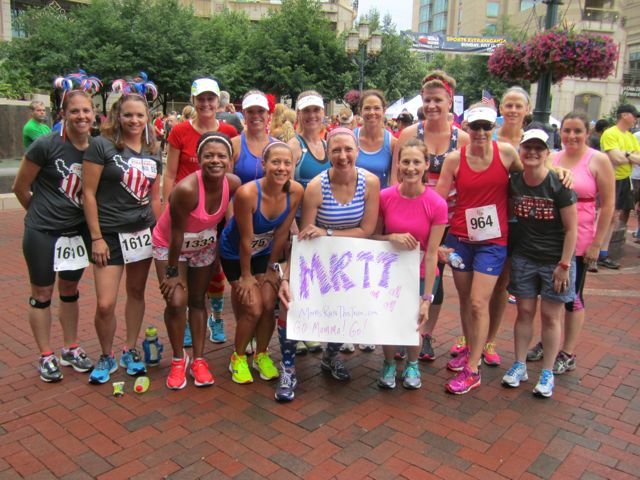 MRTT now has chapters all across the United States for all levels of runners and walkers. There’s absolutely no cost, and you don’t even have to be a mom to join. 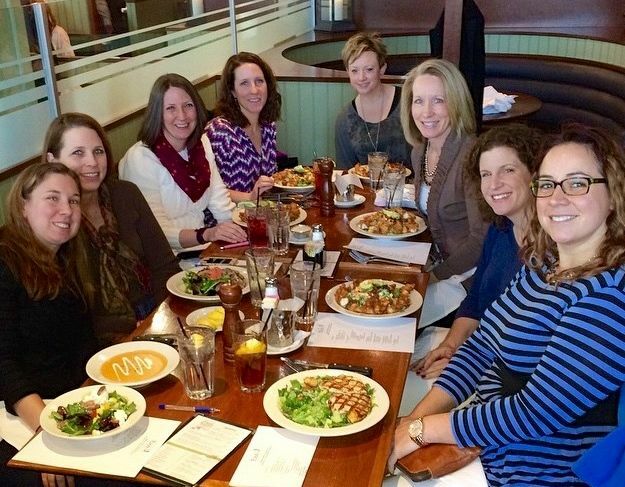 Our local chapter just accepted our 500th member last week, and considering that we have 14 other chapters within 25 miles, multiplied by all of the chapters across the US….. and you’ve got tens of thousands of running moms supporting each other! 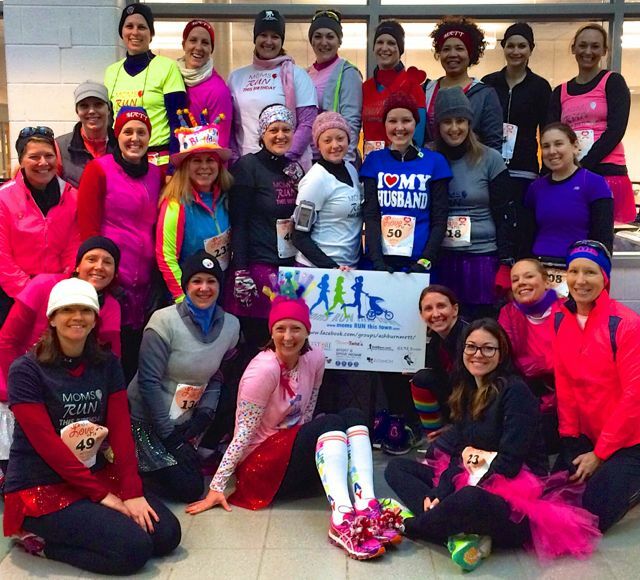 When I accepted Amanda’s invitation to join our local MRTT chapter, I had no idea what this group would mean to me. I expected to meet some new running friends, and that would be that. I had absolutely no idea that I would soon meet ladies who would make such a difference in my running, my training, and my racing. Little did I know that these ladies would become sisters to me – friends that understand me in a way that many of my other friends don’t. I soon learned that these ladies would push me to be my best. That they would rejoice with me in my wins, and be there to comfort me when I things didn’t go as planned. Our chapter works so well because we have many volunteers working behind the scenes making things happen. Our amazing co-leaders are Amanda and Erin, and without them, our chapter would not be the vibrant chapter that it is. Other volunteer positions include: welcome run coordinator, couch to 5K coordinator, pub run coordinator, coffee run coordinator, social media maven, engagement coordinator, motivation maven, and historian. Like other chapters, we keep our members organized in a private Facebook group. 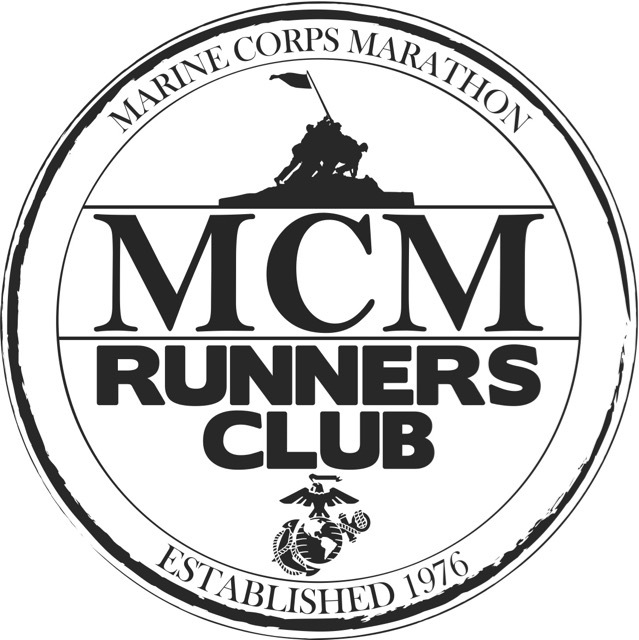 Weekly group runs, upcoming races, and events are posted there. More importantly though, members post training questions, express injury frustrations, or ask where they should look to find the best deal on a treadmill or running stroller. It’s an amazing resource for everyone in our chapter. With runners of all levels and abilities, everyone can be a resource for someone else. A new runner might not be able to give training tips, but might suggest a great yoga studio for someone looking to cross train. Another runner might know from experience, which sports doctors understand runners best. And yet another chapter member might post a picture of her shopping cart to encourage other members to include more fresh fruits and veggies in their diets. We’re a team, and we’re always looking out for each other! Whether we’re meeting for a training run or a race, someone always seems to have a camera ready to capture our happy time together, and here are just a few of our pictures….. 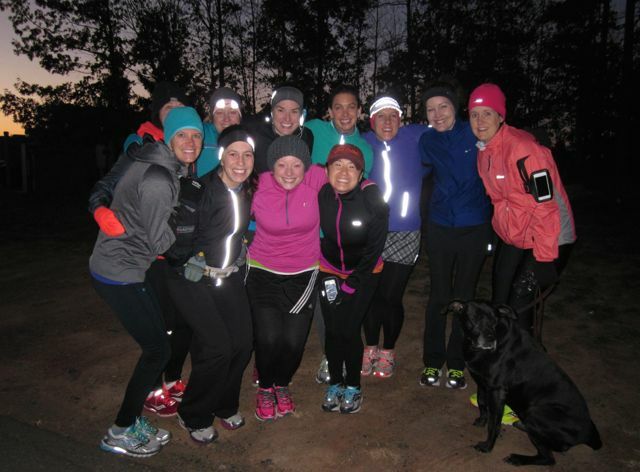 If I’ve left you wanting to be a part of such a fun running group, finding an MRTT chapter is easy. Simply click here, and enter your zip code. If you can’t find a chapter near you, click here for information about starting your own chapter. You’ll be glad you did! Are you part of a running group? Do you belong to a gym, or workout at home? 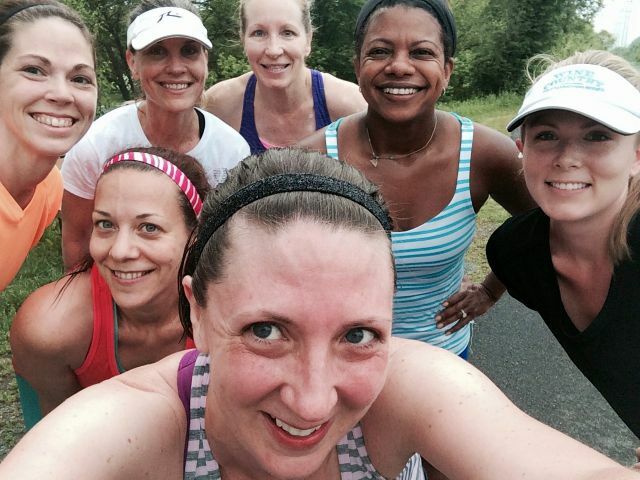 If you’re a woman, would you rather run with just other women, or in a mixed group? Love MRTT. It was totally life changing for me when I started my chapter. I had NO idea what it would become, it’s truly amazing! I remember you and Emma talking about MRTT before I joined my chapter, and had no idea what I was missing! Sounds like another awesome group for you! I’m guessing we have a group like that here in HoCo, but not sure I can expand my already large group of running partners! I have been running with my group of friends for about 10 yrs now–met them on my very first “bagel run” with the HoCo Striders and have been with them ever since. In fact, I will be boarding a plane with them Fri. for our Napa adventure! you can’t beat running friends. Good running friends really are the best. Hope you and your friends have a great time in Napa, and that your marathon goes well! Aww, bummer. 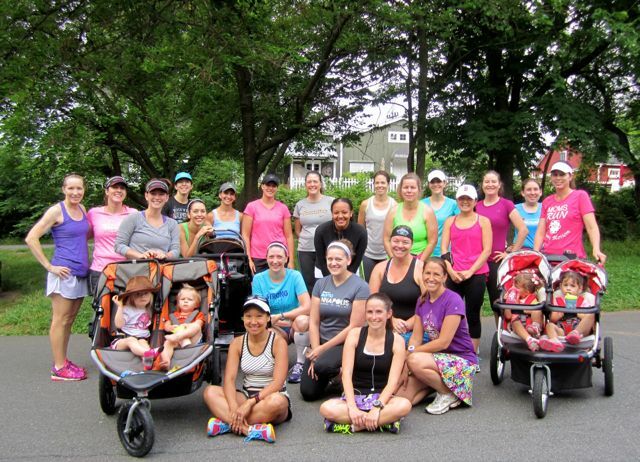 Are there enough women runners near you to start a group? thank you for connecting me with the arlington/alexandria chapter last fall!! it’s been an incredible experience and has changed my running for the better in so many different ways! You’re welcome, Katya! I’m so happy to hear that you love your chapter! This is so inspiring! There are running clubs close to where I live but I’m always so nervous about joining. Happy running! 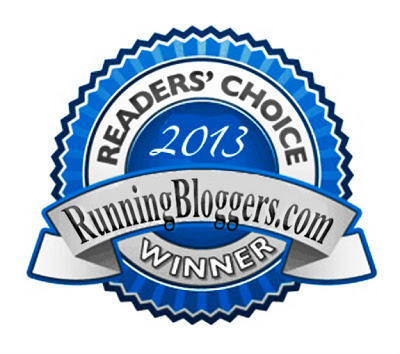 If your running clubs are like mine, there are runners of all levels, so don’t be intimidated. I’m sure you’ll love having running friends. They’re the best! Meagan recently posted…Running a race tomorrow…..? 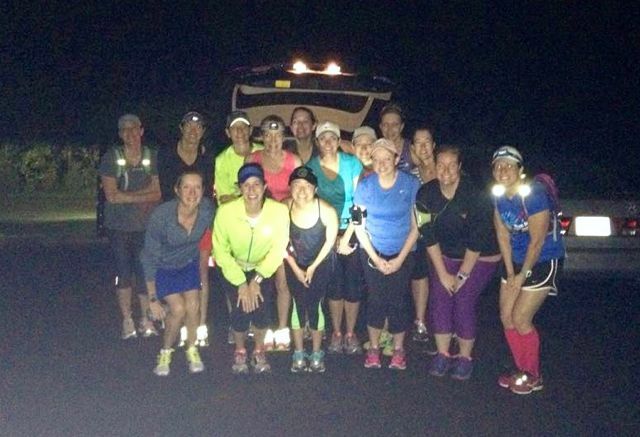 Bummer that you don’t have a nearby MRTT chapter. The Sole Sisters group you meet up with at races has always sounded like a nice group ladies. 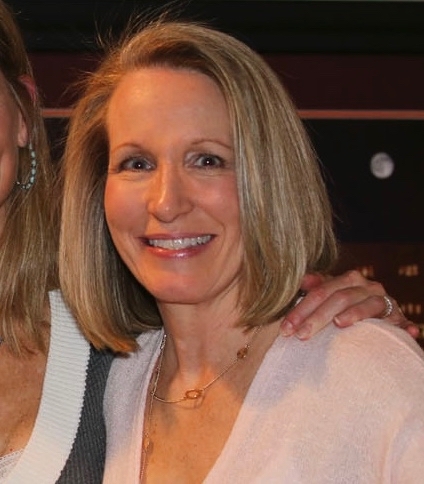 Diane, there’s a very active group in Ashburn and we have a lot of women from Leesburg who run with us. 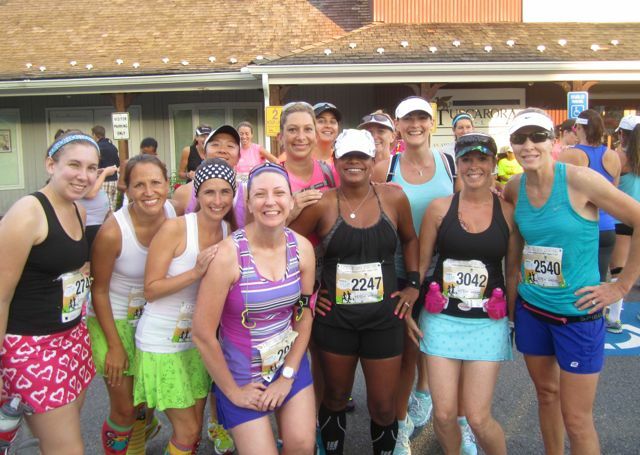 The Leesburg women meet both in Leesburg and come to Ashburn for runs, depending on who’s available to run and at what time. 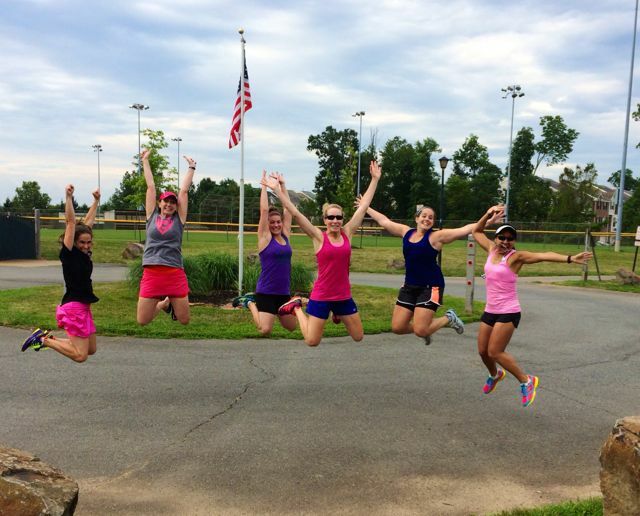 Request to join our group on Facebook (Ashburn, VA Moms RUN This Town) and then go to “Where To Catch A Run” at the top of the page or post that you’re looking for ladies to run with at a certain time and location. Hope to have you join us!